305mm x 305mm MDF Medium Density Fibreboard Sheets. Laser safe. Crafts Models. 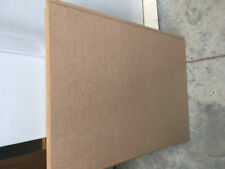 A3 A4 A5 MDF Sheets Boards. Medium Density Fibreboard. Various thickness. sizes. Features: 1.Easy processing, you can use an ordinary utility knife 2.Lightweight materials, easy to carry 3.It can be used for sand table model, model making, garden decoration 4.Strong material, texture straight, can be used for the larger force within the model beam. 5.High quality, no knot, smooth no burial Pinus sylvestris pine board. Note: due to mass production, different batches of products will inevitably have the size of the error, the precision requirements of the buyers carefully considered. Error: ± 0.1mm. 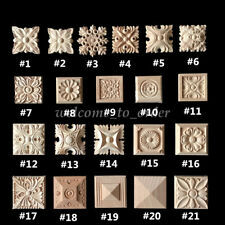 Specifications: Material: wood Brand name: Unbranded Thickness: 5mm Size: 10x10x0.5cm/3.9x3.9x0.2inch (LxWxH). 3 x 4mm THICK MDF. LASER SAFE CRAFTS. As MDF is dense fibreboard it holds it's form when fixed in a sensible way. 2mm,3mm,4mm Thick A3 MDF (420mm x 297mm). 2mm,3mm,4mm Thick A4 MDF (297mm x 210mm). 2mm,3mm,4mm Thick A5 MDF (210mm x 148mm). VINTAGE 1970s OLYMPIC STAIN SAMPLES ON REDWOOD CHIPS! SOLID & SEMI-TRANSPARENT! SOLID & SEMI-TRANSPARENT! NICE SHAPE, THE BOX HAS AGE STAINS. ADD TO YOUR COLLECTION! 3 x 2mm THICK MDF. LASER SAFE CRAFTS. As MDF is dense fibreboard it holds it's form when fixed in a sensible way. 2mm,3mm,4mm Thick A5 MDF (210mm x 148mm). 2mm,3mm,4mm Thick A4 MDF (297mm x 210mm). 2mm,3mm,4mm Thick A3 MDF (420mm x 297mm). 3 x 3mm THICK MDF. LASER SAFE CRAFTS. As MDF is dense fibreboard it holds it's form when fixed in a sensible way. 2mm,3mm,4mm Thick A4 MDF (297mm x 210mm). 2mm,3mm,4mm Thick A3 MDF (420mm x 297mm). 2mm,3mm,4mm Thick A5 MDF (210mm x 148mm). 3 x 2mm THICK MDF. LASER SAFE CRAFTS. As MDF is dense fibreboard it holds it's form when fixed in a sensible way. 2mm,3mm,4mm Thick A3 MDF (420mm x 297mm). 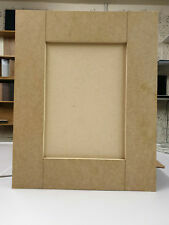 2mm,3mm,4mm Thick A4 MDF (297mm x 210mm). 2mm,3mm,4mm Thick A5 MDF (210mm x 148mm). Featured pure wool and polishing paste are used in polishing after waxing. Wool is soft, elastic and springy, it is not depilate in polishing. 50 x wool polishing wheels. Material: Selection of pure wool. Cheshire Mouldings MDF Panel. 1220 x 610 x 12mm . Cheshire Mouldings MDF Panel. 1220 x 610 x 6mm . Pfohl handle for glue applicators 75, 150 and 200 mm. 6" Cabin Hook.Made From Galvanised Steel Perfect For:Garden gates,Field gates,Driveway gates,Garage doors,Shed doors and more.Medium Duty,plenty strong enough for every day useAll fixings are included,so no need to try and find the right screws! Gatemate Kick Over Stable LatchHeavy Duty,Finished in galvanised steel.Size: 240mm (9.5")Includes all fixings necessary. Hardpoint handsaw with soft grip for user comfort, and fine toothing that gives a superior finish. Cuts down, as well as across, the grain.